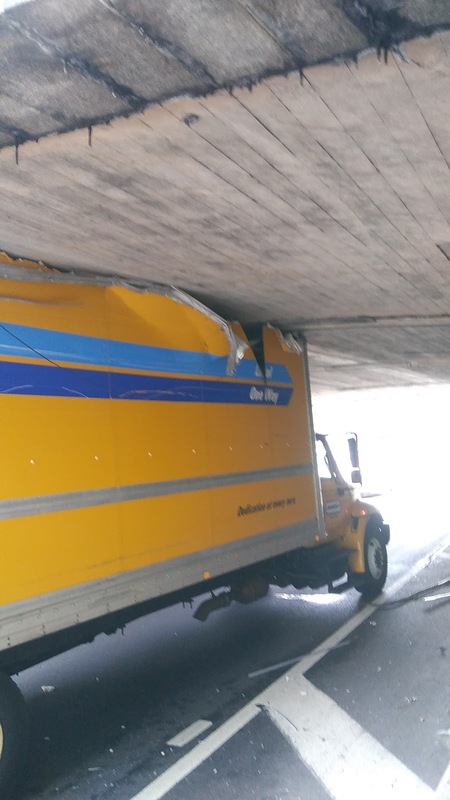 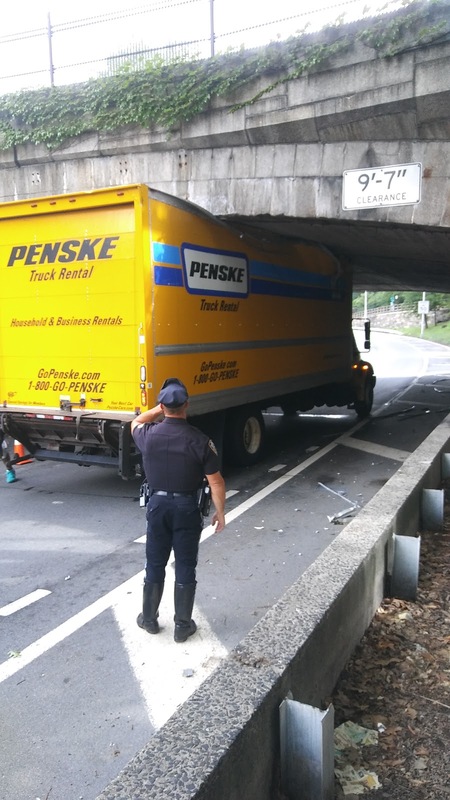 The police officer above is trying to figure out how a truck over ten feet high tried to squeeze under this Henry Hudson Parkway overpass with a nine foot-seven inch clearance. 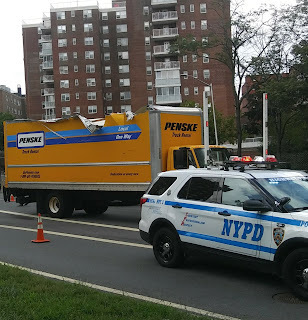 The truck from North Carolina was transporting furniture to the local Riverdale Horace Mann School which by car is off the West 246th Street exit of the Henry Hudson Parkway, but not by truck. Police had to close the parkway as the truck was pulled out of the underpass, and backed off the parkway. This happened at 10:30 AM. A State Police officer said that more trucks are going on to parkways now because the signs at the George Washington Bridge warning truck drivers of low clearance on the parkways have been taken down by the DOT, and not replaced. 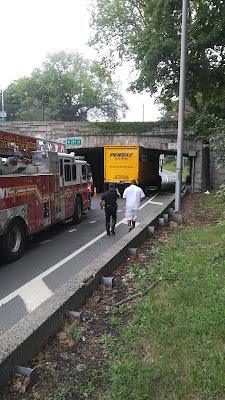 More photos are below.